Weat Palm Beach attractions an airboat ride in the Florida Everglades tops the list. One of the most important things would be the weather, typically outdoor activities for residents of Florida are enjoyed more in the cooler months fall , winter, and spring. The best months for outdoor activities is October thru May. Although June and July are warmer it is not to bad. The hottest time of year is late July, August and September. If you plan on doing an airboat ride in the Everglades do it early in the morning. So when planning a trip consider these weather factors when vacationing in Florida. West Palm Beach attractions can be found right here in Palm Beach Florida. There are a lot of family outdoor activities ranging from airboat rides in the Everglades to, Golf and of course the beautiful beaches south Florida has to offer. 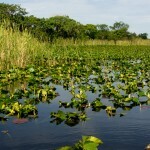 Topping the list is Everglades tours by airboat. Fresh water fishing in the Palm Beaches can be a unique way not only to catch some fish but to view the beauty of the everglades national park. Fresh water fishing in the Florida Everglades is by fare the best place to bass fish in the spring time. Florida is the bass fishing capitol of the world. The Florida Everglades bass fishing charters gives you the opportunity to hook that lunker Florida Trophy bass of a lifetime. The scenery of the everglades mixed with some great top water action is second to none. Fly fishing for bass can also be a heart pumping adventure. 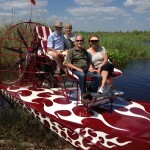 Airboat rides in West Palm Beach are the perfect Florida attraction for tourist. 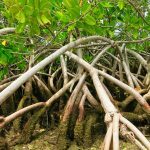 Airboat rides in West Palm Beach, Airboat rides Fort Lauderdale or Airboat rides Miami offer these great airboat tours of the famous river of grass as well. On airboat rides you will see the famous American alligators as well as, everglades birds, the aquatic eco system and plant life that the everglades has to offer. It is Florida’s best attraction that no family should miss while in south Florida. Hotels and rentals in south Florida are endless, picking the right place for your family may require some research online as to your budget and type of lodging you would like. Some family vacationers in Florida choose Five star resorts in Palm Beach such as the Breakers . Some may want to rent a vacation home in the Palm Beach or its surrounding areas. Just remember the key to planning an outdoor family vacation in Florida is plan ahead, utilize reviews from popular websites, and do your research months in advance. So for the Perfect West Palm Beach attractions Contact Us Today .